Dollar Store Toys – The dollar store is a great resource for small toys and games that can be added to an advent calendar, instead of candy. Crayons, craft supplies, barrettes, stickers, bouncy balls, little toy cars or Christmas ornaments are just a few fun ideas. A Puzzling Treat – Give your child a fun challenge with a customized puzzle. Write a special message on a blank puzzle or draw a picture. Break the message or picture into pieces and place one puzzle piece in each day of your advent calendar. Getting Through The Holidays With A Smile! Set a Time Limit. It’s can be tempting to graze all day during the Christmas season – delicious food is all around us. But eating all day puts our teeth more at risk of decay as it leaves food for bacteria in our mouth for longer periods of time, and eventually leads to toothache. Set up specific times of the day to set the table for people to eat. These can be sit-down meals or buffet style, but it’s important that there is a definite beginning and ending to eating times. This helps keep everyone from constantly reaching for food that’s high in sugar and fat. Focus on meaningful events, not food.We often base our holiday events on food, but this is bad for our teeth, waistline, and health. To take the focus off of food, set up activities like board and card games, craft projects, or holiday movie marathons. Watch the wine. Remember that red can stain your teeth. White wine is less of a risk to your white smile. If you do drink red, drink it with food to keep it from staining your teeth. Be sure to brush well if you do indulge in reds, and pair them with tooth-friendly foods like vegetables and cheese. Fill up on fruit.Instead of piling on sugary desserts or rich side dishes at your holiday meal, eat fruit. If you’re having a big dinner or party, rather than preparing a number of cakes and pies, try making one sweet dessert and then preparing a big fruit and cheese plate to satisfy your sweet tooth. Protect your teeth in your leisure time. With the spare time of holiday comes the opportunities to play sports. Be sure that your sport-playing is safe with a custom-made mouthguard from Simply Smiles Dental. Dip into veggies.At holiday events, skip the trays of Christmas cookies and brownies and instead fill your plate with veggies. Broccoli and carrots are great treats for your teeth because they’re loaded with Vitamin A and act as natural saliva producers and tooth cleaners. Carol while you clean– Tooth brushing should last at least two minutes for optimal effect. One way to pass the time is to hum a few verses and choruses of your favorite holiday song while you brush, you’ll likely brush long enough to clean up your teeth and gums (make sure to brush your tongue also!). Be careful with candy Hard candies can crack your teeth if you bite down on them in the wrong way. If you do have to eat candies, instead of biting, let them dissolve in your mouth. Also, be certain to brush your teeth after eating sugary foods of any kind, and only eat them in moderation, if at all. At Simply Smiles Dental, we aim to give you, your children, and your entire family, the smile and dental health of your dreams. We are here or you during the holidays and beyond! 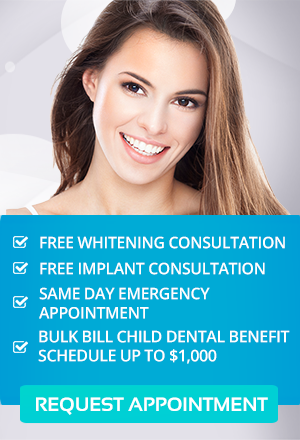 Our goal is to make quality dental care affordable. Keep your smile healthy and shining this Holiday season. Follow the tips and visit your Simply Smiles dentist for your regular dental examination. Call us on (03) 9826 2220 or book your appointment online.